Corruption has skyrocketed in every sector of our society. And the Christian religion is not an exception. A good number of the Christian leadership have been caught in corruption, hypocrisy and lies; deceiving us, and much worse, trying to deceive God himself. 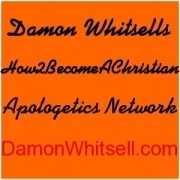 But the problem is much, much worse in Christian television, Christian radio, and televangelism. Christian television has a mass appeal and reaches an immense number of people, many who only have this as their source of information about Christianity. In fact, Billy Graham said that he could reach more people in just one night on television than the Apostle Paul in all of his life. Christian television and televangelism in effect are the main, if not the only, representation of Christianity that many people have today. Any wrong teaching, distorted information, false idea, or bad image will be their only reference of this religion. For instance, Benny Hinn’s show “This Is Your Day” airs in over 130 countries over several different networks, making it the most widely seen program in the world. And “This Is Your Day” promotes every unbiblical doctrine that is to be advocated. But unbiblical teachings and false doctrines are just the beginning. Many of these televangelists claim to have the power of God to heal the sick and perform other miracles; power which can be seen in every show, where large numbers of people supposedly get healed. But if just dozens of people were really miraculously healed, it would be very difficult to keep it from the media, which is constantly searching for news. A large number of miracles and healing would be a great proof that Christianity is the real religion. Nonetheless, no news about healing or any other miracle. Instead, what we see is witnesses and victims denouncing those performers, and documentaries and other reporting exposing them and proving them to be a fraud. Those claims of miracles have made Benny Hinn immensely popular, but it is with false healing claims, which he cannot prove, that he has achieved so much popularity. Televangelism has become a business, where preachers work towards better rating and more donations. It takes the Scriptures out of context to manipulate people to give, often beyond their means. It is estimated to be a several billion dollars business that preys on the elderly (mostly women), the poor, the biblically illiterate, and the desperate; all in the name of God. 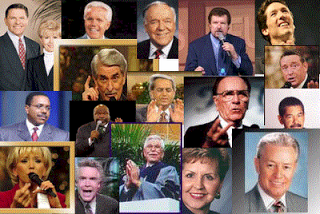 And it is not just a handful of television preachers, it is most of them. 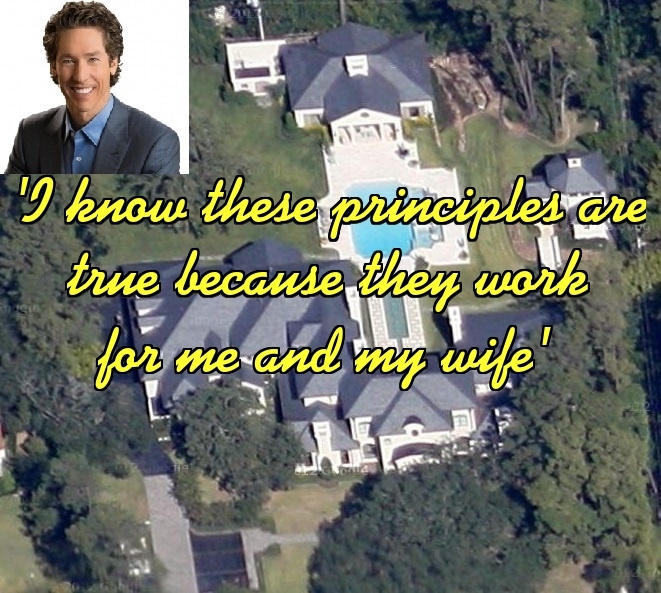 One reason is that there is no accountability for televangelists. If you sent money to any of them, you most likely helped that particular preacher to pay for his jet or his mansion. The biggest reason for people being misled is that the Christian religion has created a system of performers, in the form of clergy and preachers, and a passive audience warming the pews. This audience do not take an active role in searching for truth, learning the Bible, or asking God to guide them, but rely on others to show them the way. Instead, we should all maintain a direct, undistorted relationship with God totally discarding the intermediaries; and study the Bible using logic and reason to understand what God is trying to say through this. Trust God, not man. England has a law that requires claims of healing and other supernatural phenomena to be verified before being broadcast. The United States should enact a similar law and use the IRS to regulate what they do. The U.S. congress should also enact some laws to protect the public from these professional deceivers. At present, churches are exempted from disclosing their finances, so anything goes with impunity. Most of these televangelists do not release any type of financial information. They do not want any one to know what they do with the contributions and donations received by the ministry. That tax-exempt status is simply wonderful. If you want information about any specific televangelist, you could make a Google search with the name of the preacher or tv network and any related words, like “false preacher” or “fraud”. Try educating yourself and others about these televangelists. In the end, it is your money, it is your health, and it is your relationship with God. In his autobiography, “Without Walls,” and on a 2002 Web profile, Randy said he enrolled at the former Lee College in Cleveland, Tenn., and earned a bachelor’s degree in ministerial studies and a master’s in divinity. He said he was awarded an honorary doctorate in humane letters from Virginia State University in Petersburg, Va. Representatives from both schools said he did not receive degrees there, though Lee confirmed he took two classes. According to documents Randy gave the Tribune in April, he received a doctorate of humane letters from Commonwealth Assistance Foundation Institute of International Studies in Alexandria, Va., in May 1993. An in-depth Internet search found no mention of the school. There is no telephone listing for it. …Liar! Dr. Mike Murdock – (Extracted from investigative articles by the Fort Worth Star-Telegram) Mike Murdock Ministry documents show that several individual donors give thousands of dollars. Murdock urges people watching his TV program, Wisdom Keys, to sacrifice by giving money to his ministry even if they cannot afford to do so. He says God will provide. He also asks them to send specific dollar amounts, such as $58. Many do just that. In December 2003, more than 60 checks written for $58 were returned to the ministry because the donors’ checking accounts had too little money to cover them. Other months reviewed showed similar returned checks. Is he sacrificing too? Nope, he lives a life of luxury. He wears a $25000 Rolex, owns a private jet, likes fast cars, expensive jewelry, and lives in a estate with exotic animals, which includes a lion and a camel. 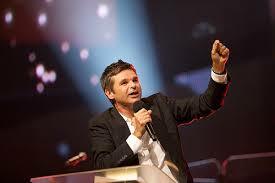 According to Randy Foret (ex-general manager for the ministry), after the articles by the Fort Worth Star-Telegram came out questioning the spending practices of the Mike Murdock Evangelistic Association, Murdock started a church to avoid public scrutiny of the ministry’s finances through the tax exempt status. As a church , its spending is kept secret. Good move Mike! No more uncomfortable questions to answer. He showed wisdom there, although the title of doctor is honorary, given by the International Seminary in Florida. In reality, Murdock dropped out of Southwestern Assemblies of God University in Waxahachie in 1966. David and Barbara Cerullo – (Extracted from investigative articles by the Charlotte Observer) David brings home more than $1.5 million a year, making him the best-paid leader of any religious charity tracked by watchdog groups. His salary dwarfs those of executives leading far larger religious nonprofits. David and Barbara Cerullo live in a 12,000 square-foot lakefront home in south Charlotte – complete with an elevator and an 1,100-square-foot garage. Their home, in a gated community, is valued at $1.7 million, real estate records show. At a time when Inspiration Networks has been cutting jobs, freezing wages and even adjusting the office thermostat to save money. Jimmy Swaggart – In 1988 Swaggart pictures were taken of him with a prostitute. He issued a lengthy on-air apology for his actions and even cried on television. The best part about that confession is that he never mentioned exactly what the crime was. The photographs had been taken as a result of a rivalry with fellow TV Evangelist Marvin Gorman, who had been defrocked shortly after being accused of immorality by Swaggart. In 1991 again he was stopped by police in a car with another prostitute. They never learn! Peter Popoff – was a self-proclaimed faith healer. He was exposed as a fraud when it was discovered that his healing was part of an elaborately staged setup including planting audience members. Skeptic James Randi visited a show and discovered radio transmissions of Popoff’s wife, Elizabeth, off-stage reading information which she and her aides had gathered from earlier conversation with members of the audience. Popoff would simply listen to these promptings with his in-ear receiver and repeat what he heard to the crowd. After tapes of these transmissions were played on The Tonight Show, Popoff’s popularity and viewing audiences declined sharply, and his ministry declared bankruptcy later that year. Robert Tilton – In 1991, Diane Sawyer and ABC News conducted an investigation of Tilton (as well as two other Dallas-area televangelists, W.V. Grant and Larry Lea). 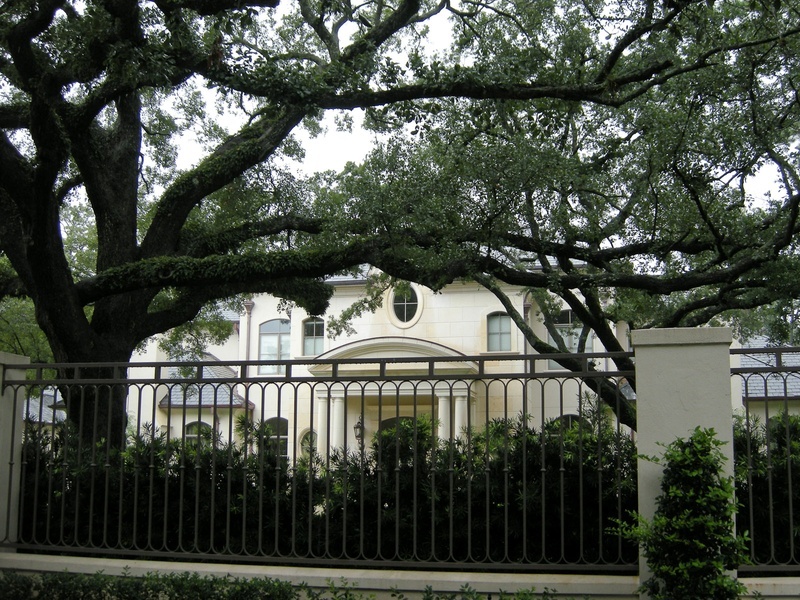 The investigation, spearheaded by Trinity Foundation president Ole Anthony and broadcast on ABC’s Primetime Live on November 21, 1991, found that Tilton’s ministry threw away prayer requests without reading them, keeping only any money or valuables sent to them by viewers, garnering his ministry an estimated $80 million a year.